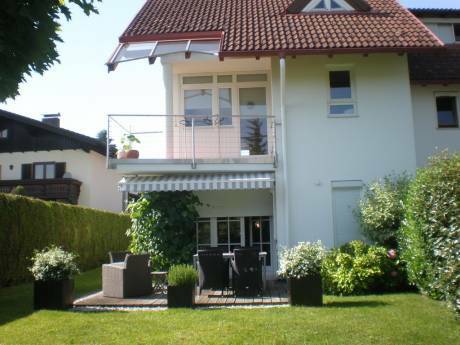 We offer a large and beautiful apartment at 960metres altitude on Mount Schmittenhöhe but a 3 minute walk to the main road to town and a 15 minute walk to the centre of Zell am See which is a 'chocolate box pretty' town on a lake. The apartment has a well stocked kitchen with adjoining livingroom and also a large second living room adjoining 2 of the bedrooms, there is a further en-suite bedroom and a separate WC. It sleeps 6 people comfortably. The terraces overlook a lake and the mountain in front and behind where, if you are lucky in the early morning, you can see baby deer drinking from the lake. The terrace has a BBQ and lovely garden furniture to seat 8 peole. If you like walking, hiking, mountaineering, mountain biking, biking 11.2km around the lake and paragliding these activities are on your doorstep. 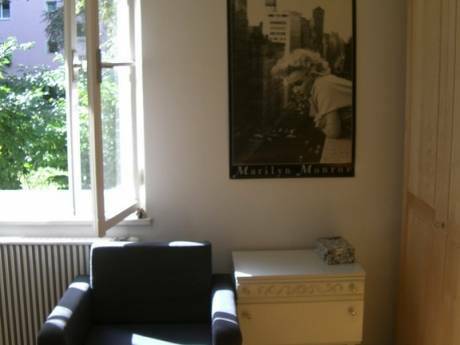 The property is very private and has many trees, flowers and a large garden. We are Sandra and Adrian, a married couple, semi-retired and living part time in Austria . We enjoy running a small restaurant business in the Winter Season in Zell am See and enjoy travelling when able to get away. We have not done a home exchange before but are keen to try what sounds a great way to see another country as a resident - and allow someone to see ours. We would like to arrange an exchange and perhaps get to know our fellow exchangers a little beforehand if possible so we can try help them get to know our area and have a great time here in Zell am See. We love the lifestyle here and are surrounded by nature on the mountain, but with an easy walk to town. It is a friendly neighbourhood and we have great neighbours on hand for tips and advice when you need it. The cable car to the top of the mountain is a 5 minute walk away and we love Summer walking and Winter skiing. If you come to Zell am See it will be a special holiday experience, no matter if it is summer or winter. You can experience lakes, mountains and everlasting ice at the Kitzsteinhorn glacier. Some 100 years ago Zell am See was a rather unknown market village. Then the railway was built and Zell became an important station. The village grew and was declared a city in 1928. Today the lovely town at Lake Zell has almost 10,000 inhabitants. Fresh air and crystal-clear water are what holidays in Zell am See are all about. Would you like to improve your health and relax during your vacation? Zell am See is the right place then, as it is considered a &#8220;climatic spa&#8221; since 1961. Not only the air around the town but also the water of Lake Zell is specially clean and pure. It is even classified as drinking water. Zell&#8217;s local mountain, Mount Schmittenhöhe where our property is located, is 2,000m high and starts directly at the town center. That is why you can find several hiking trails beginning right in town or shortly outside, not far from the center&#8217;s shopping promenades. 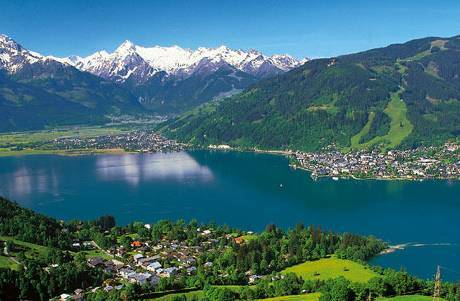 Zell am See &#8211; located in the Salzburgerland &#8211; is still a town with its original charm. You can visit the weekly market on the town square and try the local cured meats, cheeses and of course, Schnaps. You will also enjoy dining in Zell am See whether you prefer traditional and regional or international cuisine. In the town center and the surrounding mountains you will find more than 100 restaurants, inns, alpine chalets and pubs.